As cyber threats continue to escalate, businesses are often overwhelmed with trying to figure out which solutions are the best fit, let alone how they will pay for them or how they will manage them. Enter Security as a Service (SECaaS) - a cost effective way to get access to sophisticated protection that is completely managed for you. SECaaS is a relatively new business model that allows organizations to subscribe on a monthly basis to cyber security solutions, instead of purchasing, implementing and managing it themselves. These services are typically offered from an outsourced IT services provider or Managed Services Security Provider (MSSP) who will work with you to help choose the best solutions for your business, offering security guidance and expertise you likely don't have in-house. What Level of Security Does Your Business Need? Regardless of the size or type of your company, as a first step it's a good idea to invest in a thorough security audit. This is best performed by a qualified third party security expert who will inspect your business from top to bottom and provide you with a detailed analysis and proposal. From there, which cyber security solutions you choose to implement depend on your needs, your budget and your risk tolerance. But before you start investigating additional security cyber protection, ensure you have the basics in place! You still need anti-virus, anti-spam, managed DNS, network monitoring and management, up to date firewall, regular updates of your PCs and servers - all the recurring IT services you need to have as your security foundation. Keep in mind that even though it's the big companies that make the news after they've been hacked, the truth is attackers often turn their attention to small businesses. Hackers know they don't have the resources to protect themselves properly, and so they make easy targets. There are actually plenty of small companies that need extensive security in place, either due to industry regulations and/or the need to protect large amounts of personally identifiable information (PII), health related information, or other high risk data. As mentioned, every business will have unique cyber security needs. Smaller companies, with some exceptions noted above, typically start out by purchasing low cost solutions which can be surprisingly effective. The top two that fall into this category are Multi Factor Authentication and Phishing Prevention Training - see below for details. However, if your business has more than 100 employees, is a defense or federal contractor, has large amounts of PII or health care data, or needs to comply to strict industry regulations - you need to take additional security measures. Here are 6 cyber security solutions that can be offered "as a service" - purchased, implemented and completely managed for you - that we recommend you take a look at. Multi-factor authentication (MFA, also known as 2FA) is the go-to method for securing any kind of login information. Social media sites and online retailers have begun to make it commonplace. MFA ensures that even if a password is stolen, no one can access your account without a second form of authentication. Employee logging in? We’ll need your password and the code we just sent to your smartphone to make sure you are who you say you are! Humans make mistakes. We write down passwords and tape them to the monitor on our desk. We email ourselves passwords in unsecured plain text. Add in the identity theft that takes place on the dark web, and suddenly MFA becomes a valuable commodity. Phishing has become the most popular source of cyber data theft, with Verizon reporting that 93% of security incidents now start with a phishing attack. With sophisticated social engineering and pinpointed spear phishing, even the most tech-savvy end users can fall victim to these nasty scams. Educating end users through phishing prevention training is the absolute best way to keep your data safe. An army of trained, phishing-aware employees is the best "human firewall" you can have against these threats! The trick is, of course, that you can't just offer training once and be done. The most effective way is through consistent and persistent training, which is why it pays to get an MSP or other third party expert to implement and manage in-depth campaigns on an on-going basis. A vCISO (Virtual Chief Information Security Officer) delivers something most businesses simply can’t afford; a strategic director of information security. For a certain number of hours per month, you get access to the knowledge, experience and creativity of senior security staff without having to hire in-house expertise, which is prohibitively expensive. Engaged to help you with your security strategy, your vCISO can help you budget carefully for security technology, help develop and implement policies on a monthly basis, and work with you on a continual basis to ensure ongoing cyber security in your organization. 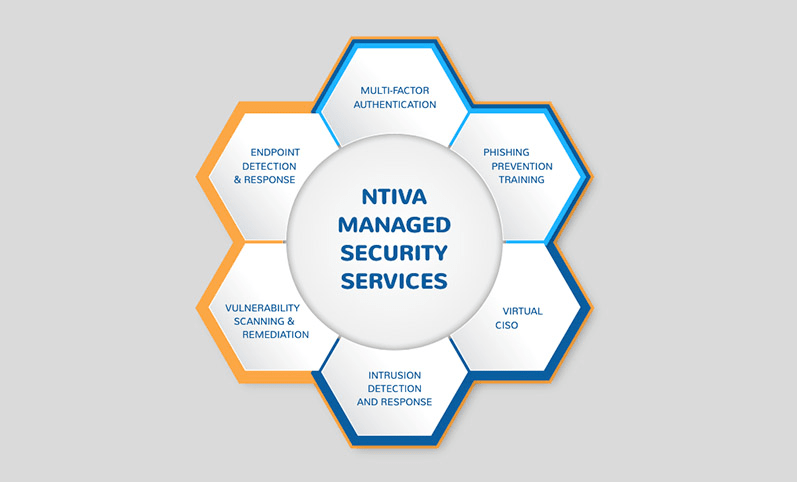 Inquire about Ntiva vCISO services. Intrusion Detection and Response (IDR) offers comprehensive 24/7 threat monitoring, identification, and remediation, wrapping your business in 3 layers of protection. What separates a secure organization from easy pickings is the ability to detect attacks in real-time and stop them before they can do damage. Every minute an attacker is in your network, you’re losing money and data, and real-time detection and response can literally save your business. IDR helps you fight back, with automated alerts that are combined with skilled security technicians who operate around the clock to verify and prioritize the data, and determine the best way to counter the attack. Vulnerability scanning and remediation offers peace of mind through scheduled scanning of your network, identifying system vulnerabilities before attackers can. Our security professionals know what to look for: missing security patches, insecure settings, and unneeded services. 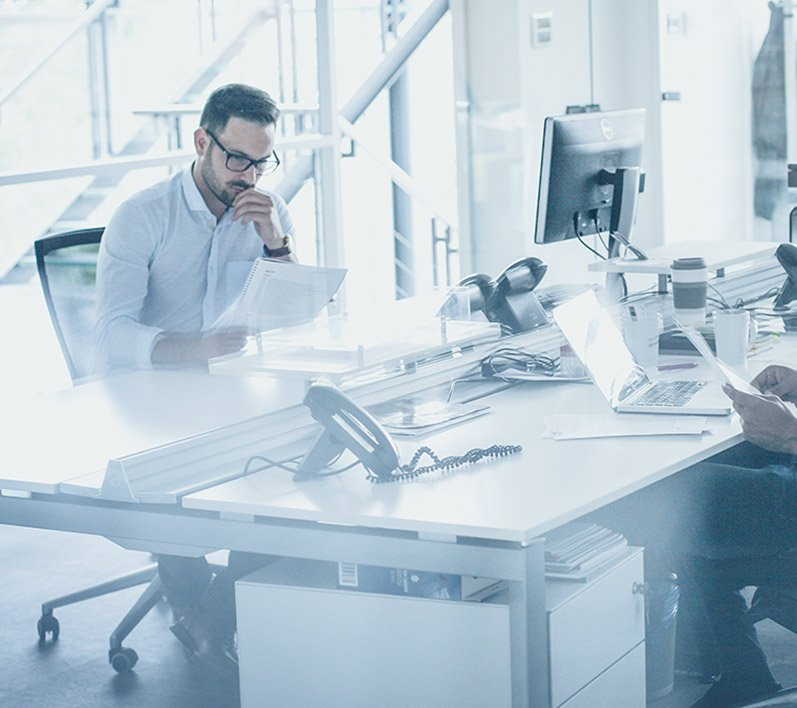 If any of these are found, they are immediately resolved, ensuring no attacker can exploit them and infiltrate your organization. For many organizations, patching computers and servers is simply no longer enough to keep out savvy hackers - ongoing detection and remediation significantly helps reduce your risk of exploitation. Endpoint Detection and Response (EDR) is like anti-virus software on steroids. Most businesses have at least some sort of free anti-virus software installed, but it simply isn’t enough to protect you from modern day attacks which have become increasingly sophisticated. EDR software protects the most targeted locations (endpoints such as computers and servers) with 24/7 real-time monitoring. It's powerful AI identifies and responds immediately to any suspicious activity, and then alerts our expert security resources who will investigate and determine the right course of action. To learn more about which cyber security solutions are the best fit for your business, click below to watch "Gourmet Cyber Security on a Fast Food Budget," presented by Ntiva's own security expert David Rossell, Ph.D., CISSP. 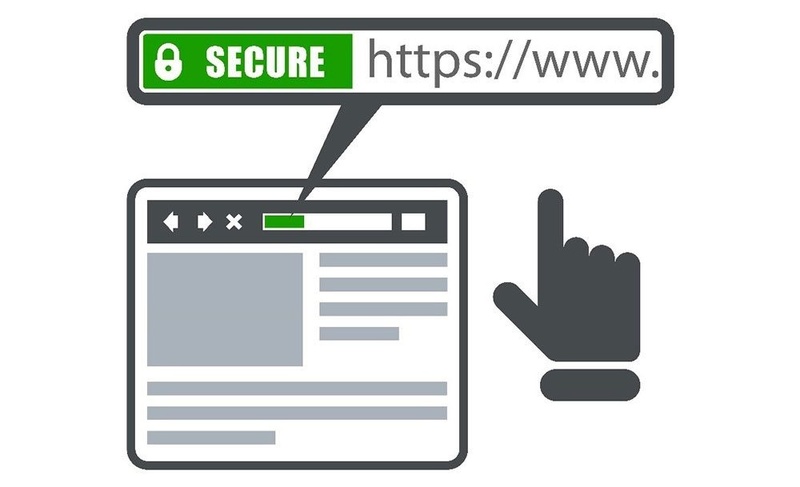 Google's Latest Update to Chrome Browser: Is Your Website Prepared?